What could be more fun than a baby with a sweet Baby Hairband Newborn? 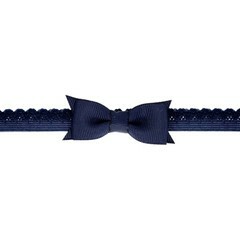 Especially when they are so small and have very little hair, baby hair bands are best suited to wear. You'd rather put a hairpin in them, but the hairs still need to grow a bit. Then a hairband is the best alternative. 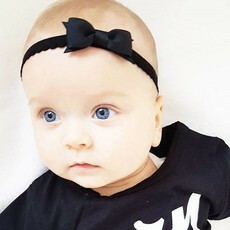 Baby hair bands Newborn give the outfit of your little girl complete. We have them in all colors and styles. The hair bands are made of a soft elastic material so they fit well. A flower hairband is a nice summer hair accessory, but can also be used in the winter. We often adapt the colours to the season and the fashion colours that are trending at that moment. So you always have a good match with the outfit of your little girl. Do you like a different style more? 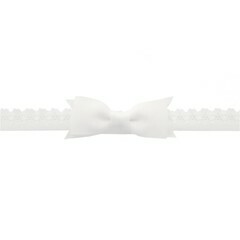 We have more than enough trendy and fun, but also festive hairbands in our assortment. Think of a hairband with button or Baby hairbands Newborn. This is always very cute with your little girl! For newborn babies we have newborn baby hair bands that are extra small and narrow. 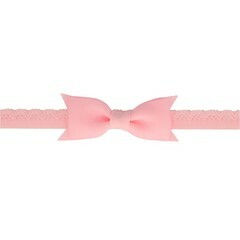 We have these with an extra small bow and a lace hairband and are available in various colors. All other baby hairbands are suitable for 0-36 months because they are very stretchable. For detailed custom advice see the text at customer service at the bottom of the homepage. For all products the dimensions are listed under "details". This way you can easily see if the size of the Baby hair bands Newborn fits your child. What's more fun than a baby with a sweet baby hairband? 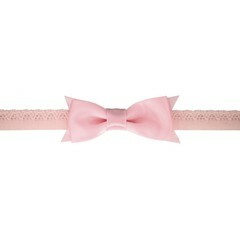 Especially when they are so small and have very little hair, baby hair bands are best suited to wear. You'd rather put a hairpin into them, but the hairs still need to grow a little. Then a hairband is the best alternative. 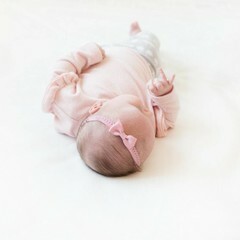 Giving baby hair bands with bow complete your little girl's outfit. We have them in all colors and styles. The hair bands are made of a soft elastic material so they fit well. A flower hairband is a nice summer hair accessory, but can also be used in the winter. We often adapt the colours to the season and the fashion colours that are trending at that moment. So you always have a good match with the outfit of your little girl. Baby hair bands are suitable for babies from 0 to 2 years old. Do you have a newborn baby or a baby a few months old? Then choose a newborn hairband. These baby hair accessories are extra small and narrow. Come and shop for the best Baby hair bands Newborn.